Some Americans - from Army personnel to US Senators - are questioning what really brought home Taliban captive. While many Americans expressed joy at the release of US Army Sergeant Bowe Bergdahl, 28, who had been held by the Taliban in Afghanistan for nearly five years, members of the military, as well as some on the right, were questioning the deal that set him free. Almost immediately after the Taliban handed him over to US special forces in eastern Afghanistan on Saturday night, some comments on the Facebook page of the US military publication Army Times castigated the deal, saying that the US had given up too much. “Since when do we negotiate with terrorists?” asked one web surfer. Others said that he was a “deserter” and “traitor,” referring to reports that he had converted to Islam in 2010. Still others accused Bergdahl of making elementary mistakes or taking unnecessary chances, or failing to follow orders, which caused him to end up in captivity in the first place. The US agreed to release five Afghan detainees from the US prison at Guantanamo Bay, Cuba in return for Bergdahl. A State Department official said that the five were not necessarily in prison for terrorists acts, but were rather mid- to high-ranking members of the Taliban government. The five include Khairullah Khairkhwa, a governor of Afghanistan's Herat province, Noorullah Noor, government of Balkh province, and Abdul Haq Wasiq, deputy chief of the Taliban's intelligence service. Among the political leaders expressing reservations over the deal was former presidential candidate Senator John McCain (R-Ariz.) The Taliban being released, he said, "are hardened terrorists who have the blood of Americans and countless Afghans on their hands. I am eager to learn what precise steps are being taken to ensure that these vicious and violent Taliban extremists never return to the fight against the United States and our partners." In a statement, President Barack Obama said Sgtץ Bergdahl's recovery "is a reminder of America's unwavering commitment to leave no man or woman in uniform behind on the battlefield. It is our hope Sergeant Bergdahl’s recovery could potentially open the door for broader discussions among Afghans about the future of their country by building confidence that it is possible for all sides to find common ground. While Bowe was gone, he was never forgotten,” Obama added. 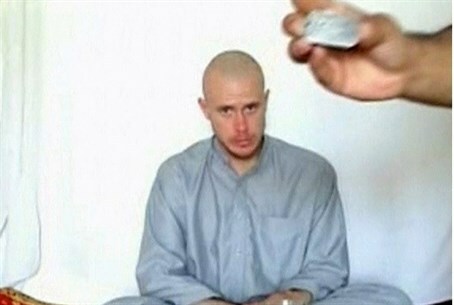 On Sunday, Bergdahl was taken to medical clinic at the US base at Bagram, Afghanistan, but is set to be moved to the Landstuhl Air Base in Germany before heading to the Brooke Army Medical Center in San Antonio, a Defense Department official said.